RAPID CITY, S.D. 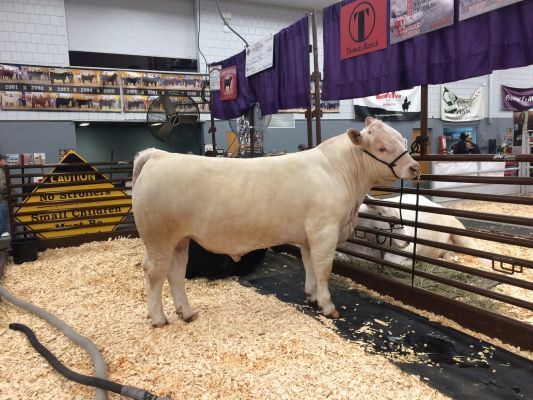 - The Charolais sale highlighted Tuesday's cattle sales at the Black Hills Stock Show. The top selling Charolais fetched $10,500. TR Mr. Outsider 7789E ET was consigned by the Thomas Ranch. In all, 39 bulls sold for a total of $167,250. That was an average of $4,288.46. Grand Champion bred heifer was consigned by BRCE Cattle and sold for $7,000. Three yearling heifers sold for a grand total of $6,000. In all, the Charolais sale brought in $180,250.